It is well enough to purchase mobile devices for your employees, but what about the “mobile content” that goes on them? The concept of content comes to us from the “instructionist model” of mobile learning, the approach based on classroom metaphors or presentations of “learning materials” and testing. But, content for learning can be almost anything, including Web pages that were not specifically designed for education and training, access to databases of information of interest to the person who is asking for it, or, any online mobile experiences we learn from. They can also be “real-life experiences” where mobile devices are used to augment the information in the physical environment, or where mobile devices are used to store and transmit information that the user wants to save or send to others. Keeping these distinctions in mind what people mean by mobile content appears on the screens of users when they connect to specific learning materials that are designed for their use. As we shall see, it goes way beyond that. One-way messages – Examples: SMS text messages, email – Almost from the beginning, mobile phones have been able to send simple text messages of up to 160 characters through a function called “short message service” (SMS). This is the facility that is being used when people “text” each other. Texting can still be used to send short messages of educational value to learners on demand. There are text-based learning games that have been developed, or situations in which texting is a viable method of augmenting a real-life game. For longer messages, email to mobile devices also can work well, but doesn’t seem to have the immediacy of texting. Bi-directional text and data messages – Examples: text chat, surveys, tests, mobile data collection – The next level of complexity for messages is two-way communications. 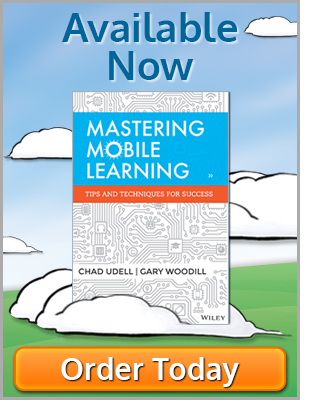 Mobile devices are capable of sending back information to a database, an instructor, or to a learner’s peers. There are educational uses of live chats, and methods of gathering information for research such as surveys, polls, and other methods of mobile data collection. Voice-based content and/or responses – Examples: synchronous calls, broadcast messages – We should never forget that mobile phones are foremost voice-based communications devices. That means we can use them to speak with people, or to send them spoken messages. Mobile devices can also be used to record podcasts for learners that can be listened to at will. Presentation materials – Examples: instructor-designed learning materials that are often in the form of slides, graphics or animations – This mobile learning content is probably closest to the model of eLearning that has developed over the past 10 years. Here successive screens of information are presented to learners in the form of courses or learning modules. Often a test follows these presentations to show that the information has been retained for at least until the test is finished. Just-in-time information to be searched and retrieved – Examples: database content, Web pages – There are vast stores of information that can be accessed via a mobile device. The real problem is finding the right information when the mobile learner wants it. This problem is being solved through sophisticated algorithms and tagging procedures that are starting to build semantic intelligence in mobile networks so that information can be more easily found. The concept of just-in-time information has its primary application in supporting the performances of individuals and groups. Rich media – Examples: asynchronous animated, audio and video productions that can be downloaded or streamed to a mobile device – With the development of large storage banks for video and audio on the Internet, we’ve seen a huge increase in the availability of educational animation, audio, and video. Besides rich media that are specifically produced for educational purposes, we now have vast amounts of lecture material and conference presentations available to mobile users. With the increasing capabilities of mobile devices to record and edit rich media productions, we’re also seeing a huge increase in the amount of user-generated content available in this form. Interactive and immersive media – Examples: games, VR, AR, interactive apps – An additional level of complexity is to add interactivity and immersion along with rich media to produce educational games, virtual reality, augmented reality, and other forms of interactive applications. Many productions at this level are in the form of downloadable “apps,” proprietary programs that run with specific mobile operating systems, or cross-platform applications available on any mobile device (such as those authored in HTML5). Collective/collaborative experiences – Examples: flash mob instructions, collaborative learning projects, social movements supported by social media – Finally, there is mobile content is aimed at groups rather than individuals. These include instructions for group actions such as meetings of “flash mobs,” mobile collaborative learning projects, and large-scale social movements that have developed because of users meeting in coordinating their actions using mobile devices. A great example of this in action is the new application from Float, Tappestry. Each of the above content requires different methods of authoring and production. Some forms of mobile production can be produced by tools that come with mobile devices, while others require additional sophisticated hardware and software. 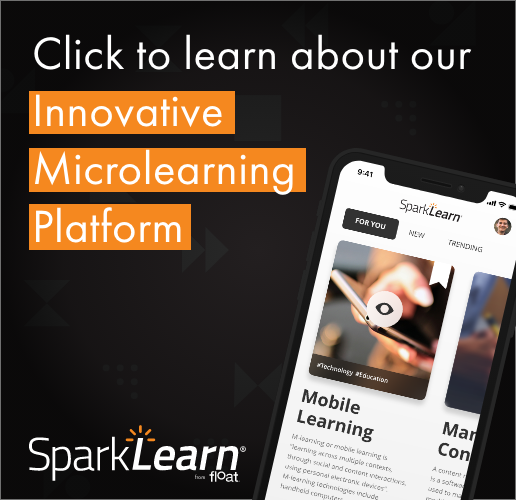 For an instructional designer working with mobile learning, all the above types of content should be considered in your strategic planning for implementing mobile learning in your organization. These content types can all be used across the four primary content areas or delivery methods identified in Chad Udell’s book, Learning Everywhere, available now on ASTD’s website and Amazon.com.